To burn data or music files, we can use the internal browser or their Drop-Box to drag drop files directly from any Windows Explorer window. 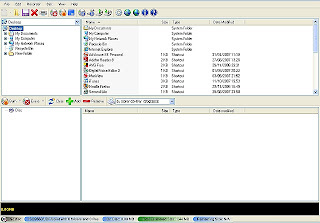 The software has a multi-language interface. You can obtain online updates as well. The program will verify written data automatically after the burning process. For more information go to the CDBurnerXP website.